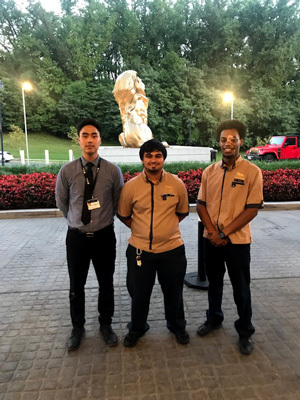 I started out as an Assistant Facility Manager two years ago and one month ago, I was promoted to Facility Manager for the MGM National Harbor. I wanted to join SP+ because it was a new challenge within the hospitality industry. I wanted to use my previous hotel management experience and meet new challenges, gain new skills and understand an industry that was both refreshing and interesting. My first impression of SP+ was that it was different than any other company I had worked for. It was a fast paced environment and I was very impressed with the experienced associate’s abilities to provide exceptional service efficiently. My impression has not changed. I am still impressed and proud everyday by our team’s abilities to work under high pressure and produce remarkable results.